RECEIPTS of pastry and cookery. for the use of his scholars. By. 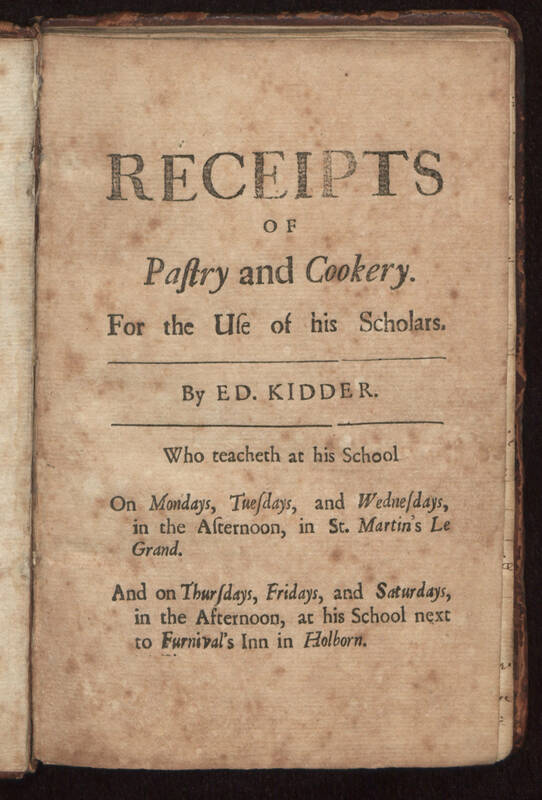 E D. KIDDER who teacheth at his School On Mondays, Tuesdays, and Wednesdays, in the Afternoon, in St. Martin's Le Grand And on Thursdays, Fridays, and Saturdays, in the Afternoon, at his School next to Furnival's Inn in Holborn.